Although dogs have been around humans for many generations, not all dogs are comfortable with strangers. As puppies, dogs should be socialized carefully and thoroughly during their impressionable stage. This helps ensure the dog will be as comfortable and well behaved as possible for the rest of her life. Sometimes, though, things don’t quite work out that way. You may get a dog as an adult, after that socialization window has closed. What to do then, if your dog is not sure of new people? Many dogs are nervous of new people, and they will each react in a different way. Some will simply avoid people. Other dogs may bark in alarm, while still others may cower or hide behind their owners. Often, once the person has passed out a few cookies and bent down low to the ground, the dog is much more willing to approach. But what about when that isn’t enough? Pair strangers with lots of fun and food, often simply showering a handful of treats on the dog whenever a stranger appears. It’s important to do this in a way that does not cause the dog to react. Teach the dog an appropriate greeting behaviour, such as touching a fist with his nose, to give him something deliberate to do with a friendly stranger. Put a Thundershirt on the dog prior to any potential greetings. Do set ups with friends and then with known strangers (known to the owner, not the dog) so the situation can be controlled until the dog has some confidence. Again, this should be done such that the dog does not react nervously to the person. 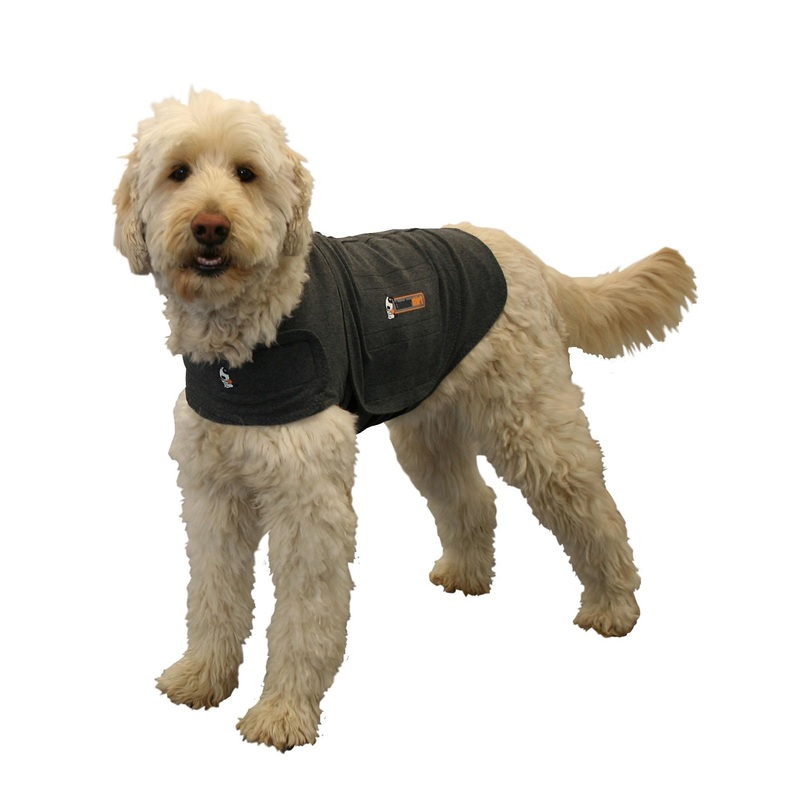 The Thundershirt really seems to calm the dogs with gentle pressure over the body. 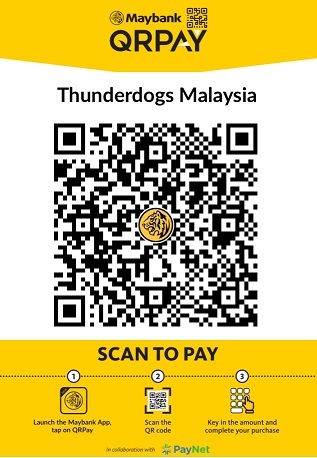 The dog is able to think and learn faster and better with the Thundershirt than without, and therefore, owners see results faster, and are happier. I haven’t seen any side effects, and for dogs who don’t mind having it on, it’s almost maintenance free. 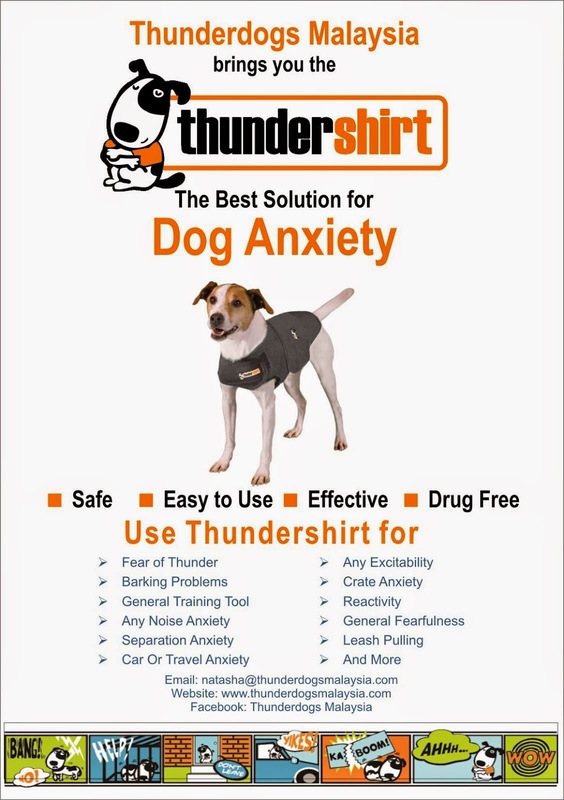 It is a low risk, high benefit tool, and the Thundershirt has proven a great addition to a stranger-nervous dog’s protocol.